The problem is basically as the title stated. I have a Compaq Presario PC from the late 90s running Windows 98 Second Edition. It was handed down so I'm not exactly sure what it went through in its original years. I'm trying to get it to network one way or another now. I have USB support working, so I can plug in flash drives, which is nice, but I'd like to use the NIC and/or a modem with it. I tried using the original Compaq 56k internal modem but could not get it work. I spent hours trying. I would get "Could not connect to COM port" when doing modem diagnostics (it was on COM2). HyperTerminal would throw errors too. 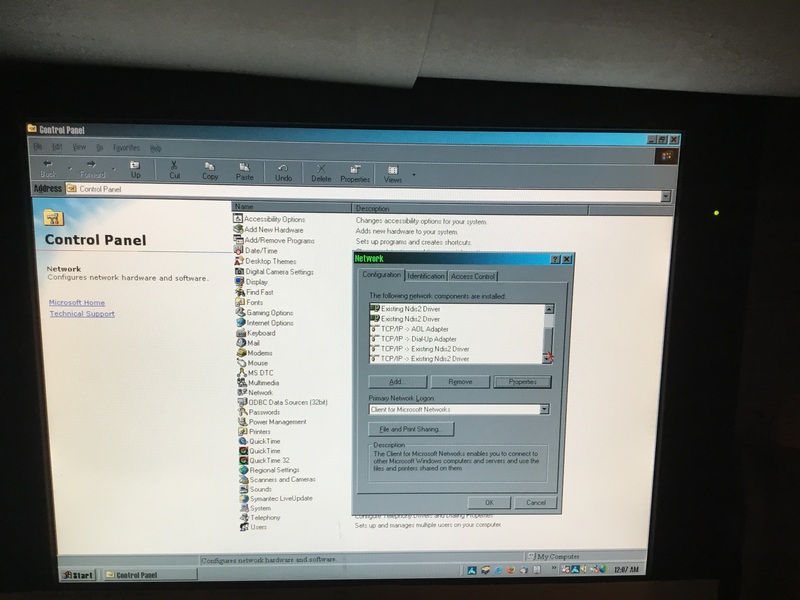 Didn't have a NIC so I installed a DAVICON 9102 10/100 Mbps network adapter from a Dell Dimension 8200 running a corrupted installation of Windows XP. The light on the NIC lights up when the computer is on (and both if a cable is plugged in) but nowhere in the computer can I get network or Internet access. Yes, I played with the firewall settings. I recently got an external US Robotics 5686E modem to see if that would work more seamlessly. Plugged it in, didn't work. The modem is in perfect condition. When I try doing diagnostics I see lights on the modem flickering but the computer hangs and then says could not communicate with modem. Yes, proper drivers were installed. Oh, also, before that I installed the modem that was on that aforementioned Dell computer and that also didn't work, even with the proper drivers installed. Someone suggested possibly Windows needs to be repaired using the upgrade disc. I suppose that's plausible, but I'd like to pinpoint the actual cause of the issues. I reinstalled the USR modem numerous times before realizing that was going nowhere. Error loading device driver NDISHLP.SYS. Error 7323: One or more network transport drivers failed to load. 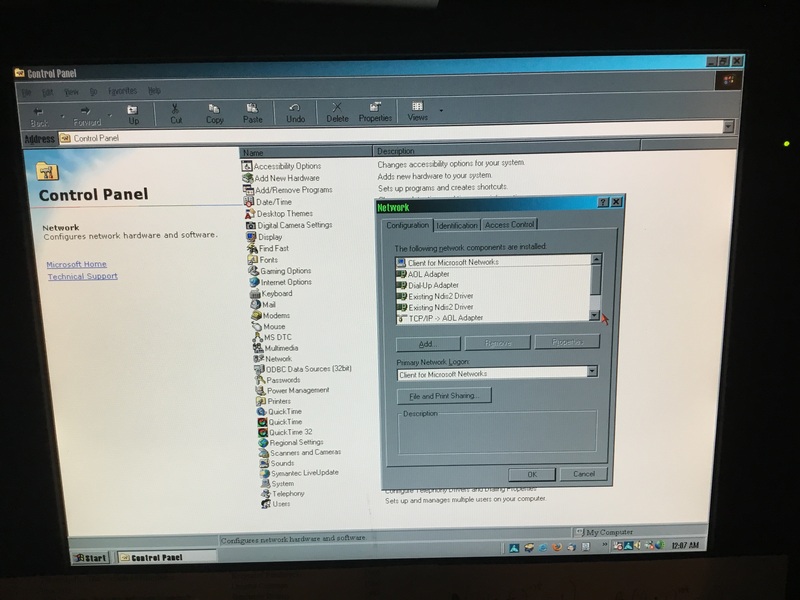 Yesterday, I burned a retail Windows 98 SE disc and used that to run "sfc", and I also manually re-copied over NDISHLP.SYS - I now have all the stuff I was told I need except for the LANMAN directory and protocol.ini and the elink thing, both pertinent to the NIC. I also removed the two Ndis2 adapters in Device Manager with yellow exclamation points. When trying to update driver it said most recent driver is already installed, and if reinstalled it doesn't change at all. However, the modem is still NOT working. Ignoring the NIC, for the present, the computer is still not communicating with the modem. The modem works, and lights DO light up when I click "More info" in Diagnostics. \AUTOEXEC.BAT: Autostart file, should contain a proper NET START, e.g NET START WORKSTATION command. \MSDOS.SYS should contain a HostWinBootDrv statement in the Paths section to tell where to load the network driver stuff, and a Network=1 statement in the Options section to activate networking. The file is read by NET.EXE. Windows 95 and 98 didn't come with as many drivers for expansions as later systems like XP or Windows 7 did - You normally got the drivers with the hardware and had to install them manually. You should be looking for a DAVICOM 9102 driver install disk, and a similar disk for the modem - Install these and you should be one step further. Not the answer you're looking for? Browse other questions tagged windows-98 modem network or ask your own question. When was network byte order decided?